I can’t explain it, but recently I’ve been obsessed with double denim looks. 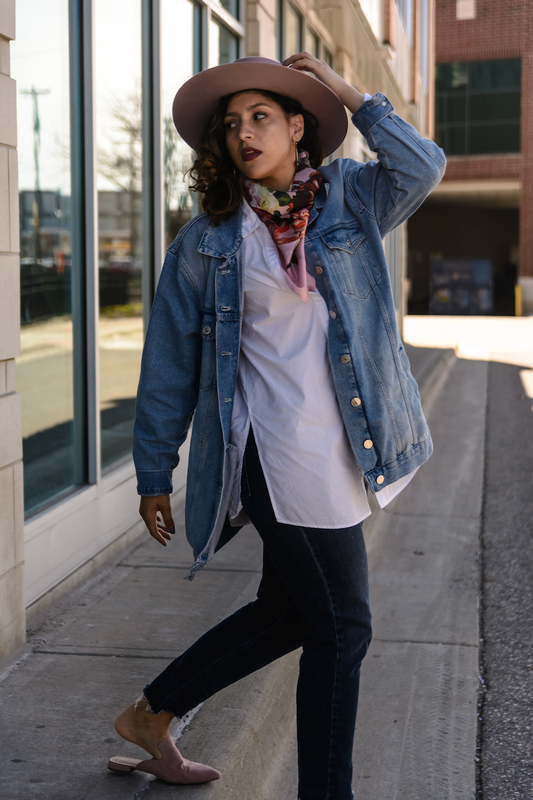 A light wash chambray top with a pair of jeans or even an all white denim look. 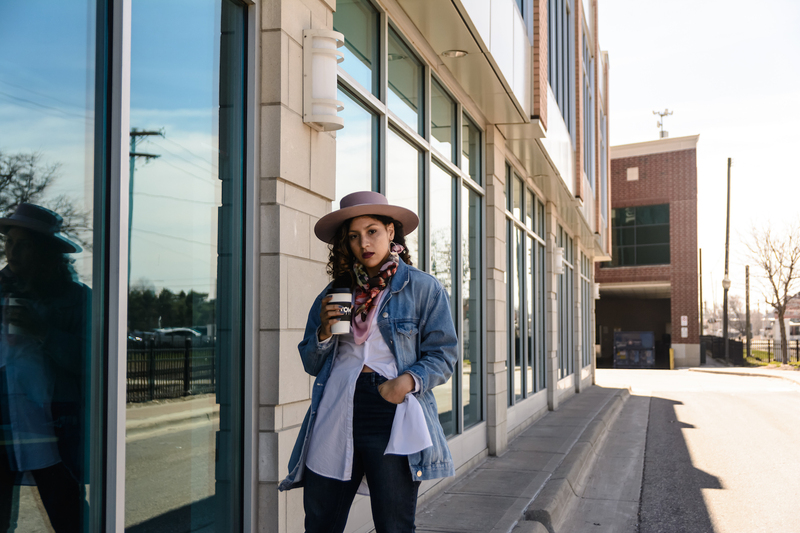 Partly because a denim jacket is the only layering piece that seems to exist in my closet right now, but mostly because it’s insanely stylish. 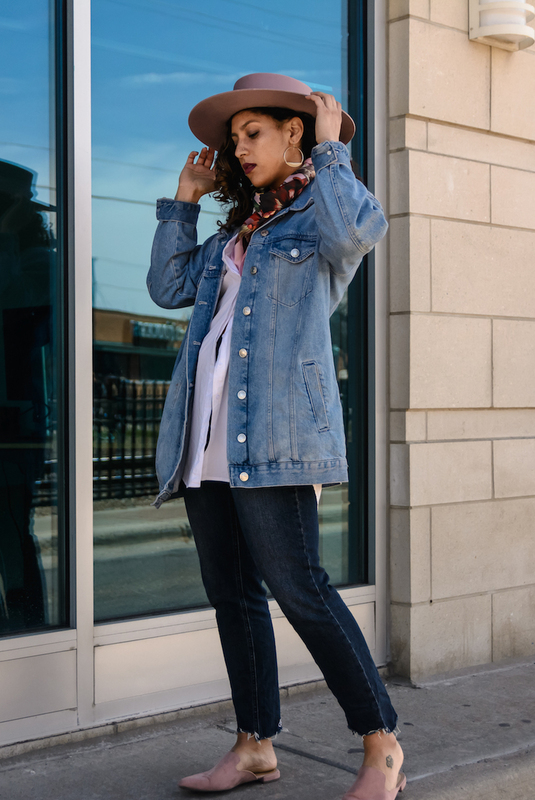 What I love most about the double denim look is that there’s almost no wrong way to do it. 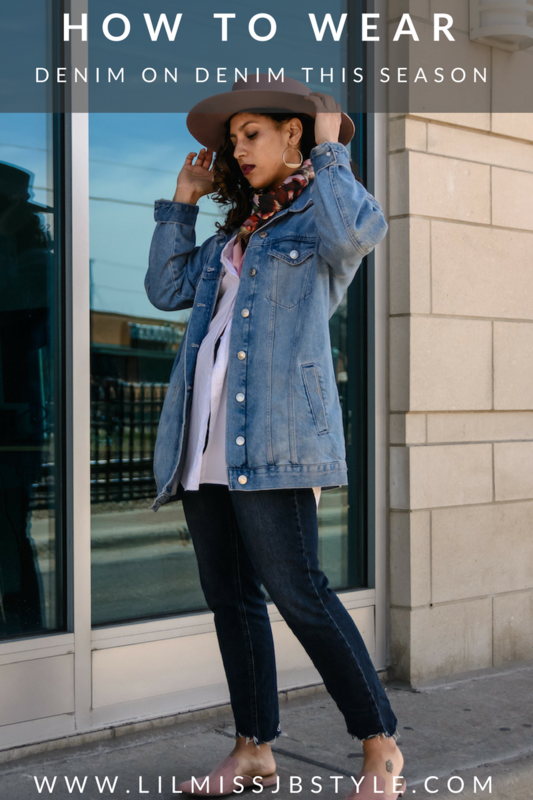 If you’re feeling really casual you can pair a denim jacket with a tee, some jeans and sneakers. 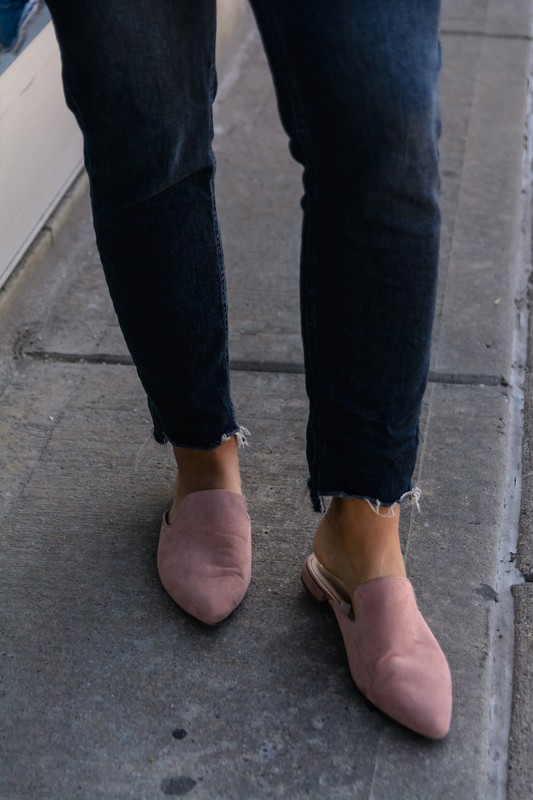 I decided to go for something a little dressier with the button up and pointed mules which honestly I was a little hesitant about. 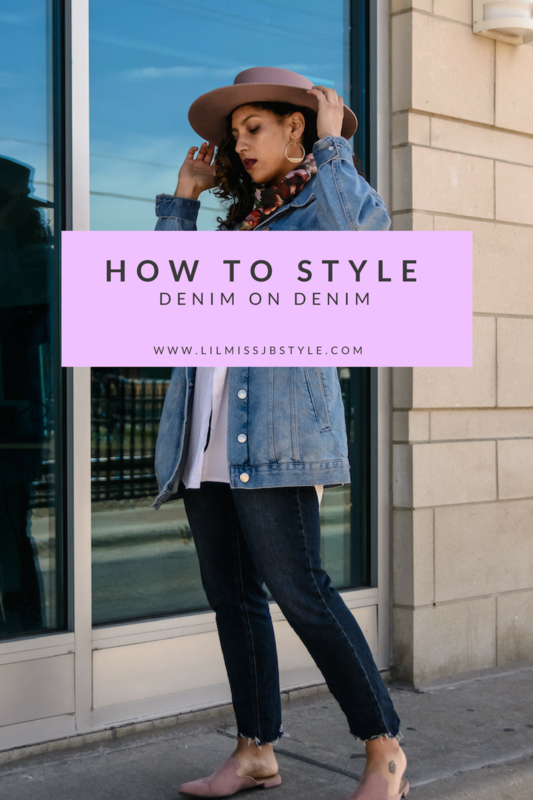 But if there’s one thing I’ve learned about style, and life, it’s that it’s important to push through the hesitation, to give things a try and see how you feel. Every time you take a step out of your comfort zone you learn a little more about yourself. Maybe you find that you were hesitant for no reason. Or you confirm that outfit combo just isn’t your jam. Sometimes we need a reminder that it’s just clothing and we shouldn’t take it too seriously. Trying new things that may not work helps you to better identify what does as you move forward. 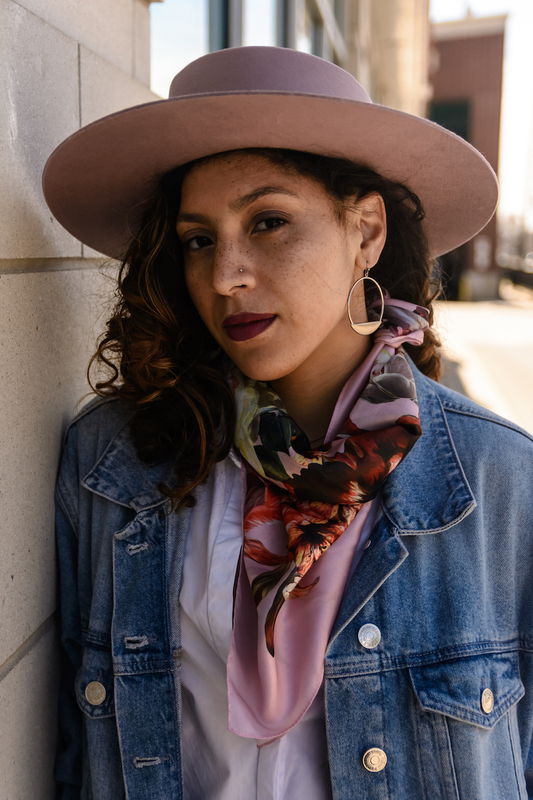 Building this kind of relationship with yourself will not only help you get killer personal style but help tackle life with a little more confidence too! Looking for even more denim on denim inspo? 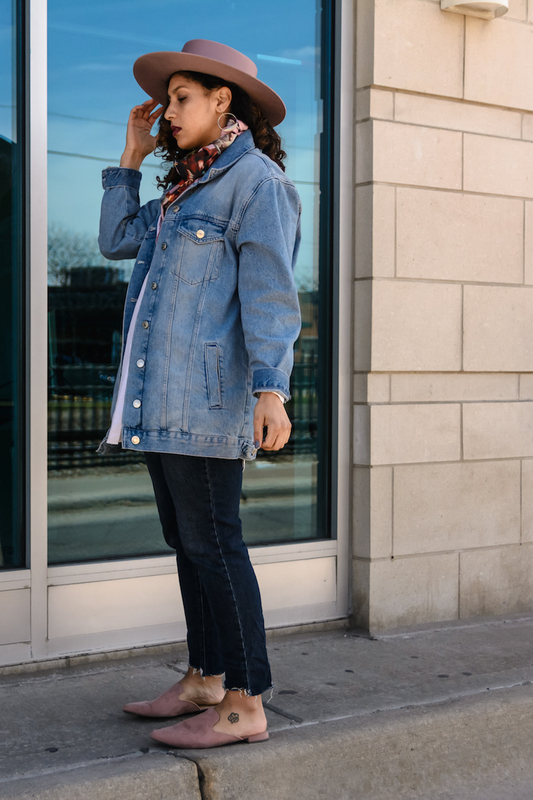 See another jacket + jean combo here or my full on denim outfit here.